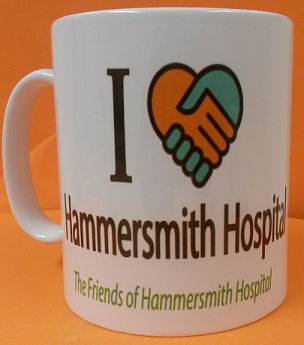 These mugs make a great gift for staff or a remembrance of the hospital! Please come and visit the Friends corner shop on the ground floor of Hammersmith Hospital. We have lots of affordable goods on offer from baby clothes, including hand knitted garments, all occasion greeting cards, toys, books, stationery, Friends of Hammersmith Hospital bone china mugs, postcards, cloth bags and pens, sweets, toilettries and many other items. We are open Monday to Friday 9.00 a.m. to 5.00 p.m. (4.00 p.m. on Fridays). The Flower shop is open Monday to Friday 11.a.m to 4.p.m. and our Charity saleroom is now open Monday, Tuesday, Wednesday, Thursday and Friday 10.30am to 3pm. We look forward to seeing you. Just outside the shop door, we have two large notice boards and anyone may advertise houses, flats, cars, furniture, goods, etc., for sale at a cost of 50p per week. Postcards are available for this purpose in the Office and can be written for you.